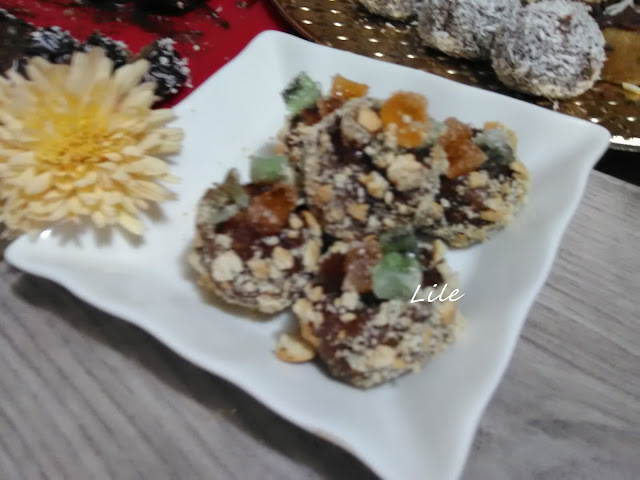 PITA SO GOTOVI KORI,GUZVARA so vkus na urda i kaskaval,vkusen dorucek,lesen i mnogu brzo se podgotvuva.Ima i video recept na srpski jezik. Se mesat jajca so urda ,se dodava sol,tava za pecenje pita se namstuva so maslo. Kori se secat na 4 ednakvi delovi,mojata tava bese kockasta.Kori se delat na tri isti dela. Se stava maslo vo tava,i se zema od kori,po edna kora se redi vo tava i sekoja se prska so maslo. Na sekoja kora se prska maslo ,i stom na eden del se stavi maslo,se renda kaskaval,i vrz kaskaval ramnomerno se rasporeduva fil so jajca i urda. Se stava vtor del kori i na sekoja pak se prska maslo.Se renda kaskaval i pak ostanat del od urda i jajca. Se zavrsuva so tret del kori i sekoja se pak prska i na kraj cela pita se prska so maslo. Se sece na pogolemi kocki pita,i se pece vo rerna zagreana na 250C i se pece na 180C 30min. Se vadi pita od rerna se prska so mlaka voda i pak se vraca vo rerna da se dosusi uste 2-3 min. Se sluzi topla pita kako vkusen pojadok.I navistina e mnogu vkusna. How to make a pie urde-cheese. 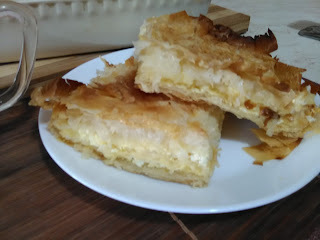 PIE IS MADE use, flavored curd cheese and ordinary cheese, tasty breakfast, wooden and very quickly preparate.Have and video recipe in Serbian. Combine the eggs curd, is added salt, baking pan wonders add oil. Using remember in 4 equal portions, my wandering it was gamble.Krust shall be divided into three same work. The bet butter in the pan, and is obtained from the bark, the bark one reared in the pan and each is sprayed as butter. At each bark is sprayed oil on one part to put the oil, it renders ordinary cheese, as on ordinary cheese evenly be distributed to filling the eggs and curd. 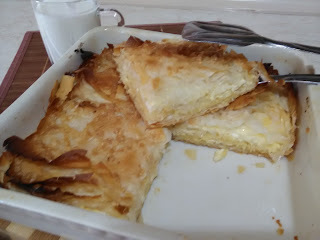 The bet is second part of the crust and at each turn is sprayed oil.And renders ordinary cheese and however remain part of the curd and eggs. Ends with a third part of the crust, and each in turn sprayed and at the end of the whole pie is sprayed as butter. Is cut by a bigger stake pie, and is baked in the oven at 250C heated oven and is baked at 180C for 30 min. Is taken out of the oven pie is sprayed as lukewarm water and in turn goes back in the oven to be dried up, another 2-3 minutes. Are mucus warm asks how tasty breakfast.I truly was very delicious.